iPhone 6C – Truth or just Fantasy? Is this the real life? Is this just fantasy? It seems the iPhone 6C is no longer underway. Instead, expected sometime around March 22, the iPhone 5se will probably make its appearance and awestrike all us Apple lovers with its beauty. But what of the iPhone 6C rumors? What are the confirmed iPhone 5se specs? Of course, there’ve been leaks, small things that got out. Just enough to tease us. We’re here with a complete collection of all the rumors surrounding what would be the iPhone 5C’s successor. Since the 5C was such a hit, it’s understandable why the hype around the iPhone 6C would be so big! The display. Even though the size of the retina displays on the iPhone 6 and 6 Plus were 4.7 and 5.5 inches each, we would expect the iPhone 6C to be somewhere around those lines. Not so. The latest rumors regarding the iPhone 6C release say it will be just 4 inches in size, in an effort by Apple to satisfy customers who were content with the size of their iPhones 5 and 5S. The general shape. Remember the iPhone 5? It used to be slightly bulky. Its rounded edges were not nearly as sleek as those of the iPhone 6. So, seeing as the iPhone 6C is said to draw more from the iPhone 5, its shape too is said to be not as stylish. This will give the phone a nice rugged fee while keeping it very advanced tech-wise. The camera. The optics device of the new iPhone 6C or 5se will be a 12-megapixel rear-mounted camera. That is, according to the latest rumors. As of yet, we haven’t got any news about the front-mounted camera, but chances are it will have at least 5 megapixels. So you will be able to take some sharp selfies without any problems. The processor. We know that the iPhone 6 had an A8 central processing unit. We also know that the iPhone 6 Plus has an A9 central processing unit. Now, judging by Apple’s previous decisions, the new iPhone 6C will not be a downgrade. The iPhone 6C or 5se will most definitely feature the A9 since it is not in the habit of Apple Inc. to use older parts for new devices. The touch ID. Paying with your phone. Another one of the advantages that Apple wants to give its future iPhone 6C so as to make it stand out and make people buy it over the iPhone 6. Combine this with the NFC and you’ve got yourself a device far stronger than the current iPhone 6. Still, it’s not intended to be as strong as the iPhone 6 Plus. That much we can say for sure. The ‘hey Siri’ feature. To be honest, when the iPhone 6 and 6 Plus came out, we were baffled by the fact that Apple would not make the Hey Siri feature available for both. It was ca cheeky move which it seems that they’re trying to undo now. Because the iPhone 6C or 5se will feature the A9 processor, it will also be able to keep Siri on in the background at all time (if you like Apple’s AI, here are a few neat tricks for Siri you can try). The storage capacity. Strangely enough, several rumors indicate that the iPhone 6C or 5se will come in just two versions: 16 gigabytes and 64 gigabytes. No 36 gigs and no 128 gigs – sorry! However, I personally still don’t think that anyone would need more than 64 gigabytes, but you never know. The battery life. It does seem that the tech gods from Apple have heard our prayers and decided to add a larger battery to the new iPhone 6C or 5se. The old iPhone 5C battery capacity was 1560 mAh. The new phone is set to feature 1642 mAh. How thick do you think the new iPhone 6C will be? We have high expectations from this new iPhone. We don’t know precisely what we’re going to get, but if it’s anything like the leaks we’ve seen, we can’t wait! 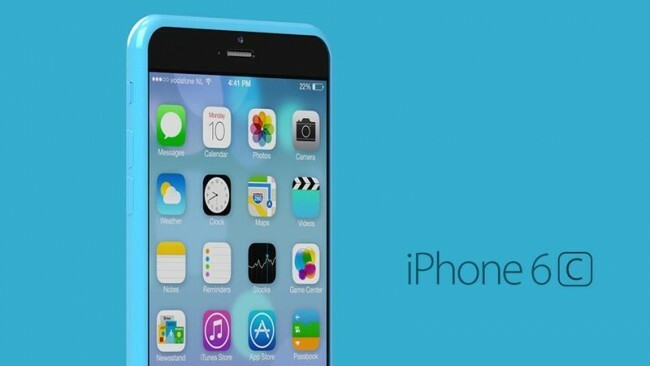 No matter whether it will be called the iPhone 6C or the iPhone 5se, it will surely be awesome!